There’s something fun about doing scavenger hunts in busy, busy places like Wall Street/Lower Manhattan. It’s like you’re a wizard amongst a sea of distracted muggles. 🙂 What we love about this area is the contrast between the modern and the old…the way old churches and taverns mingle with skyscrapers and brokerage houses. If you want an irreverent walking tour that helps you unplug in one of the City’s most “plugged” neighborhoods, this is for you. Event Description: An engaging site for a corporate team building event, this is where New York City truly began. While tourists rush to the usual spots – Times Square and Rockefeller Center, Greenwich Village and the midtown art galleries – the heart of the city beats loudest and largest at the southern tip of Manhattan, in historic Downtown. Location History: Dutch traders purportedly purchased the island of “Man-a-hatt-a” here from the Algonquin Indians in 1621 for $24 worth of beads and other trinkets. A defensive wall (c. 1644), protecting early settlers from British attack, rose here on the site of what later became Wall Street, the world’s financial center. 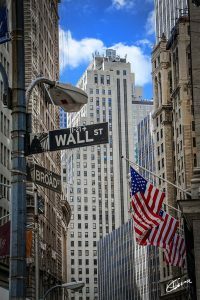 During your corporate team building treasure hunt…you’ll explore the bustling area from Battery Park to Wall Street, with possible stops along the way at the NY Stock Exchange, the Federal Hall Memorial (where George Washington took his oath as America’s first president), Castle Clinton, Trinity Church and much, much more. If you have never fully explored the alleys and backstreets of much-neglected Lower Manhattan, you are in for a huge treat. See all of our New York corporate team building events.